Daily Mass is held in the chapel, Monday – Saturday. Adoration of the Blessed Sacrament takes place on the 2nd Saturday of the month. 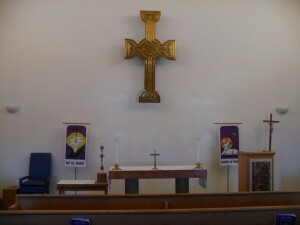 The beautiful Celtic cross on the wall behind the altar was installed in the early 90s. 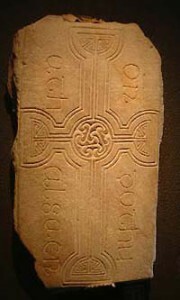 The design is based on a grave slab at the Clonmacnoise Monastery in Offaly County, Ireland. The monastery was founded in the 6th century. Due to its location on a major buy viagra direct east-west route, by the 9th century it had become an important point of trade, religion and craftsmanship on the bank of the river Shannon. The Celtic Cross reminds us of the power of Christianity to bring harmony and peace to the conflicts and anxieties of our daily lives.